The Douglas F4D Skyray is 4.4 MB. Larger files take longer to load. This is the Douglas F4D Skyray listing page, here you can download the plan, article and see the main thumbnail and extra images. 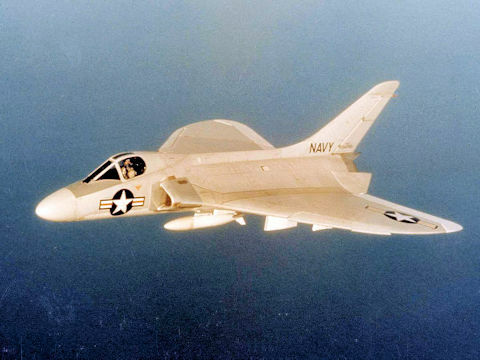 The Douglas F4D Skyray (later redesignated F-6 Skyray) was an American carrier-based supersonic fighter/interceptor built by the Douglas Aircraft Company. 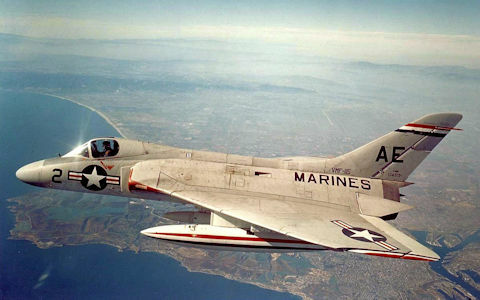 Although it was in service for a relatively short time and never entered combat, it was notable for being the first carrier-launched aircraft to hold the world's absolute speed record, at 752.943 mph, and was the first United States Navy and United States Marine Corps fighter that could exceed Mach 1 in level flight. Douglas F4D Skyray - 15 1/2 inch wing span, 19 11/16 inches long, kit no. Y9, jet by Comet Model Hobbycraft Inc. the model was designed and drawn by Harold Peters. This model has many parts to be cut from sheet balsa which complicates the construction. In doing some online research I found that the power of choice for this model is a Jetex micro rocket of unknown size. The plan does have what appears to be detailed instructions on the assembly of this model and some notes on scale details. 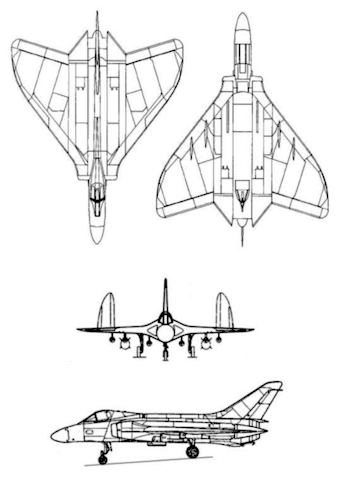 The poor rendition of the fuselage side in the plans aside, this would be a fun model to build – and if they suitable Jetex can be found – a fun flyer. These are the details for the "Douglas F4D Skyray" plan. If you would like to become a plan editor and help us to edit the attributes of all the plans in the website please click the "Edit Attributes" button below. 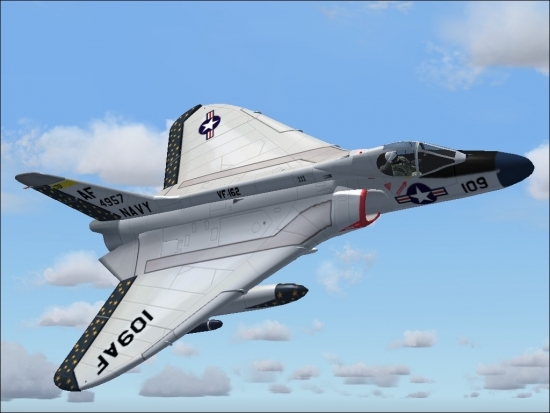 Order your Douglas F4D Skyray prints today! The Douglas F4D Skyray plan can be printed on plain paper, tracing paper or polyester film and shipped worldwide. This tool allows you to calculate the cost of printing and shipping the Douglas F4D Skyray plans and its building article if available. If you need to resize a plan please contact us with the ID:80809 and the desired wingspan. I will calculate a price upon request, please contact me here mentioning this PlanID: 80809 and the job you wish me to do. This plan is 4.4 MB and was shared by our member kenb on 26/03/2015 16:05 in the PDF Bitmap Wood Model Airplane Plans (2) category. It has been downloaded 827 times.